In this section, Meta Reviews Camera Bags and Camera Harnesses from Think Tank Photo and Cotton Carrier, especially designed and made for Adventure and Nature Photographers! There are so many different Camera Bags, Camera Straps and Camera Harnesses on the market, so how do you know which one is right for you? That depends on what camera gear you NEED to carry vs. what you WANT to carry – and HOW FAR you want to carry it. Like many Adventure and Nature Photographers, Meta used to carry everything that she owned in her Huge Camera Backpack. That got really heavy after a few very long hikes. Meta tried a popular model of Side Camera Strap, but after a slip and fall while on a wet hiking trip (86 the protective lens hood), Meta started searching for a Hands Free Camera Harness System, one that would keep her camera securely in front of her, instead of hanging exposed at her side or on her back. Meta now Hikes Totally Hands Free, carrying just what she needs on her G3 Cotton Carrier Harness! Meta’s mountain hiking adventures often takes her deep into the back woods for hours at a time. Meta needs to keep everything on her, including her Apple iPhone X, 2 Sony Digital Camera Batteries, Bens Deet Wipes, Zeiss Lens Cleaning Wipes and an Emergency Rain Poncho. She hooks two BlackRapid Bryce Camo Pouches onto the two front straps of the Cotton Carrier Harness. 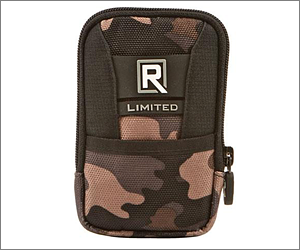 One Bryce Camo Pouch can hold 2 Sony Digital Camera Batteries in a Dual DSLR Battery Holder and the second Bryce Camo Pouch can hold other personal items like Trail Mix. Her Apple iPhone X fits perfectly in the inside front pocket. Meta keeps her Photos by Meta Business Cards stored in the front pocket. Her Trail Maps fit into the rear storage area. Many other Nature Photographers and Hikers ask her what she is wearing. In 2017, Meta attended the Grandfather Mountain Nature Photography Weekend, (where she won first prize). There were about 200 Nature Photographers that headed out on the mile high mountain hiking trails for the entire weekend. Many of these Nature Photographers lugged around very heavy Camera Backpacks, with everything they own stuffed in them, while others had multiple cameras sliding around on multiple camera straps. Everyone looked totally exhausted from the weight strain of their Camera Gear at the end of the day. Meta was the only one wearing her G3 Cotton Carrier Harness and she had a stress free, hands free, long hiking weekend on the mile high mountain hiking trails at Grandfather Mountain! 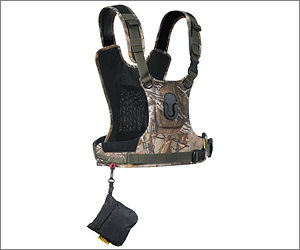 The G3 Cotton Carrier Harness is easier to get in and out of, plus the new back padding is more comfortable. Meta hikes with her Sony a77 II Camera attached to her Sony 100mm f/2.8 Macro Lens. You can be out hiking all day and not notice the weight of the camera and lens attached to you. The G3 Cotton Carrier Harness works very well with the big and heavy Sony 70–200 f/2.8 Telephoto Lens attached to the Sony a77 II Camera, even with the large Sony Vertical Grip attached. The Western North Carolina Blue Ridge Mountains are classified as a “Temperate Rain Forest”, which means it rains here almost daily, especially in the late afternoons in the summer months. The Cotton Carrier Camera Rain Shield is a must if you are miles down the trail and get caught in a short afternoon thunderstorm. Whether Meta is hiking on the Appalachian Trail, the Mountains to Sea Trail or along the Blue Ridge Parkway National Park, she needs to be totally Hands Free, which can often involve sliding between rock walls, or climbing over fallen trees, large rocks and boulders, or crossing small streams and small waterfalls on slippery wet rocks. The G3 Cotton Carrier Harness meets the Hands Free hiking requirements, keeping her camera and lens securely in front of her at all times, and not rolling around her side like so many other camera strap systems. If you are a Hiker, or are into Nature Photography, you really need to check out the new G3 Cotton Carrier Harness. 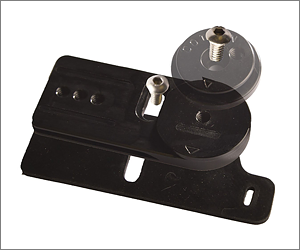 The new G3 Cotton Carrier Harness receptacle is made of Nylon 6 and is much stronger. Cotton Carrier changed the Twist Lock Camera Hub design to the New Cotton Carrier G3 Flat Hub Design, so the older Tilted Cotton Carrier Hubs won’t work on these new G3 vests, but the new Cotton Carrier Flat Hub will work on older Cotton Carrier vests – So if you are upgrading to G3, all you need do is order a new Cotton Carrier G3 Flat Hub. 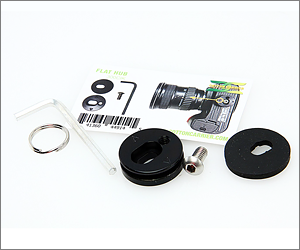 The new Cotton Carrier G3 Flat Hub doesn’t tilt the end of the camera lens downwards, towards the front pocket anymore, making it a lot faster and easier to rotate the camera to get it on and off of the harness. This is a big improvement when carrying a long lens like the Sony 70–200 f/2.8 Telephoto Lens. 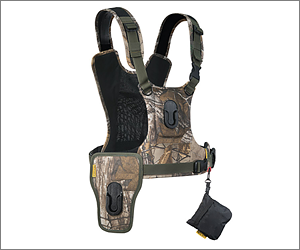 These quality Camera Harnesses are made from Kodra Synthetic Canvas with Durable Water Repellent (DWR) Coating. Cotton Carrier warranty their Camera Harnesses for 3 Year Warranty against manufacturing defects! 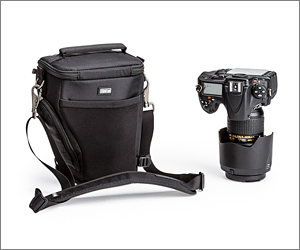 For your Second Camera the New Cotton Carrier G3 Wanderer Side Holster is fast and easy to use. It allows you to carry two cameras at the same time! This holster was redesigned in 2018 to a smaller, more compact design. If you’re like most Adventure Photographers, you probably have a drawer full of old camera straps, camera strap systems, bulky camera bags, heavy backpacks, camera belts and maybe even a harness or two that didn’t work as well as you thought they would. Nothing works as well or as securely as the Cotton Carrier Harness. Like most other Adventure Photographers, Meta has tried a lot of other camera strap systems, camera belts, camera backpacks and camera harnesses, but the Cotton Carrier Harness is her favorite, especially for Nature Photographers, Adventure Photographers and Wilderness Hikers! Meta used some Fabric Glue to attach a small 1/4” x 1” Velcro Strip to the top front pocket flap to keep it more secure. Meta mounts a Think Tank Photo Are You Hot Pouch on the left side of the vest, which can carry up to a 1 Liter bottle of water. Her Small LED Flashlight 300 Lumens clips onto the Harness Belt. Meta polished some candle wax onto the vest connector, which will allows for a smoother connection. Meta wrapped Velcro around the Allen Keys to make them thicker, then she added a small rubber end tip so that it doesn’t tear the back fabric. She painted the Allen Keys top with bright orange nail polish, to make it easier to find if she drops it on the trail. She keep two of these bright orange Allen Keys in the inside pouch. Watch the Informational Video below for more information. Cotton Carrier Harness for One Camera. Cotton Carrier Harness for Two Cameras. Thanks to Brook Parker at Cotton Carrier for his assistance in making this review possible. Each of the six camera bag models are custom fitted for the exact camera and lens combination and size for a perfect fit. These camera bags feature a zippered pop down extension that increases the bag’s depth for use with a lens hood extended, plus a built in rain hood. Meta keeps all of her Digital Holster Camera Bags setup using the exact same configuration, so there is no confusion. There’s nothing worst than looking for something when you are on a hiking trail. In the top of each Digital Holster Camera Bag is a small business card pocket which can hold a few business cards and one Sony Remote Shutter Control plus a spare 2032 Battery. Inside the top flap is a larger storage pocket that Meta keeps one or two lens filters stored in Single Lens Filter Pouches. The Outer Rain Cover Pocket has some room for 2 extra Sony Digital Camera Batteries and SD card inside of a Camera Battery / SD Card Case plus any Short Camera Cables or SD Card Adapters. On the outside is an elastic pocket that can hold the Camera’s user manual plus a few Zeiss Lens Cleaning Wipes. The two taller 30 and 50 model bags add a small outside square pocket, as seen in the top photo. Meta keeps a spare Slik Tripod Adapter in here. There is also a removable LCD screen protector flap. On the back side of each bag is a sturdy 1” thick strap that can be used to attach other Think Tank Photo Pouches or Smaller Bags. Meta uses this strap to attach the App House 8 Pouch or the Little Stuffit Pouch, for carrying the Polaroid LED Ring Light, Energizer Intervalometer with 5 Meter Extension Cables. You can also attach 2 Little Stuffit Strobe Stuff Pouches to the larger camera bag for carrying two remote flashes. There’s a top hand strap plus a detachable shoulder strap with shoulder pad. These camera bags use top quality YKK RC Fuse zippers and have a durable water repellent coating. 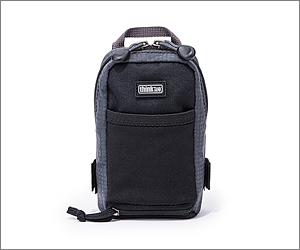 Think Tank Photo warranty their camera bags for as long at you own them – You can’t beat that! 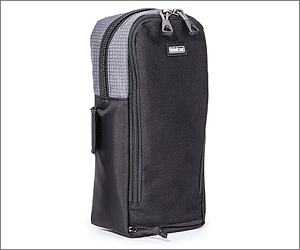 Meta owns 5 Think Tank Photo Digital Holster Camera Bags in various sizes and configurations. Meta loves these custom fitted camera bags! Digital Holster 20 Bag – Fits Sony Digital Cameras with Shorter 50mm or 100mm Macro Lens. Digital Holster 30 Bag – Fits Sony Digital Cameras with Taller 70–200 Telephoto Lens. 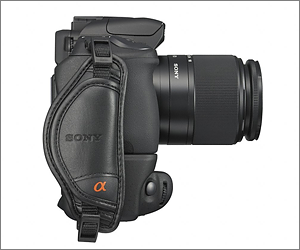 Digital Holster 40 Bag – Fits the Sony a77 II Camera plus the Sony a77 Camera with Battery Grip with shorter 50mm or 100mm Macro Lens. Digital Holster 50 Bag – Fits the Sony a77 II Camera plus the Sony a77 Camera with Battery Grip with taller 70–200 Telephoto Lens. Any serious Photographer knows the value of a Quality Genuine Leather Hand Strap for all day comfortable, secure shooting in a wide range of situations. This Genuine Leather Sony STP-GB1AM Hand Grip gives you a safe and secure one handed hold on the Sony Digital Camera. This is Meta’s Favorite Camera Accessory. This Sony Genuine Leather hand strap works well with the Cotton Carrier Harness Plate, a Leather upgrade to their Fabric Cotton Carrier Hand Strap. 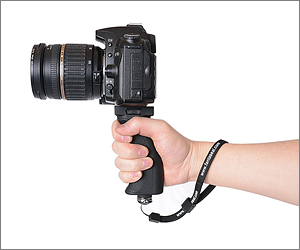 This Fantaseal Ergonomic Camera Grip Mount attaches to any 1/4” Tripod Mount on a rubber pad. It can easily support the weight of most Sony SLT Cameras or White Lenses. It’s handy for Video Photography. Maximum weight supported is 6.6 lbs. Meta uses her Camera Grip Mount for Nature Photography, attached to the Tripod Mount on her Sony 70–200 f/2.8 Telephoto Lens, and Sony a77 II Camera with Sony Vertical Grip. (6.2 lbs.) See how this attaches to the Camera. 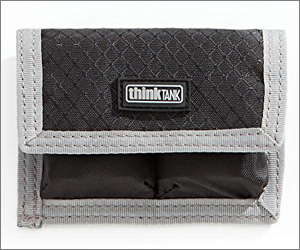 The Think Tank Photo App House 8 (Apple iPad Mini) is designed to clip onto the side of any Think Tank Photo Camera Bag, or be carried with on the included shoulder strap or handle. Meta uses the Think Tank Photo App House 8 Tablet Case to carry the Polaroid LED Ring Light or the iPad Mini. They can also attach to the side of the Think Tank Photo Digital Holster Bags. Interior Dimensions: (W x H x D) 5.3” x 7.9” x 0.8”. 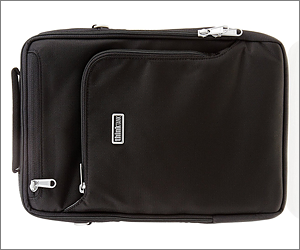 Think Tank Photo’s My 2nd Brain 11 Laptop Case is a slim case that fits the 11” laptop (MacBook 12” or MacBook Air 11”) and has an individual dedicated padded pocket for the Apple iPad Mini and the Apple iPhone X. The Apple iPhone X pocket includes a pouch for earbuds. Many clear, dedicated, zipped pockets are provided for accessories such as adapters and cables, as well as pens and business cards. The rear pouch provides ample space for small manuals. Available in Black, Harbor Blue or Mist Green. Think Tank Photo makes a larger 13” and 15” models of this case. Think Tank Photo’s Little Stuffit Pouch is slightly larger than the BlackRapid Bryce Pouch, and can carry Small Camera Flashes, Remote Shutter Release, Cables, Camera Batteries, Cell Phones, Wallet, Power Bars, etc. It’s part of Think Tank’s Modular Belt System, so it can easily attach to any Think Tank Photo Belt or Think Tank Photo Digital Holster Bag. Interior Dimensions: (W x H x D) 3.5” x 5.6” x 2.5”. The Think Tank Photo Strobe Stuff padded belt pouch has enough space to accommodate the Sony HVL-F43M Flashes or the Sony HVL-F60M Flash, with standard diffusers attached. The front pocket fits an external battery pack with a cable pass through to keep it attached to the flash. Includes interior pockets for flash feet, hot shoe covers and three sets 4 AA Batteries. 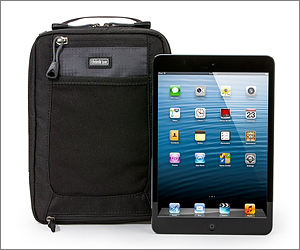 It can easily attach to any Think Tank Photo Belt or Think Tank Photo Digital Holster Bag. Interior Dimensions: (W x H x D) 4.3” x 9.3” x 3.0”. Meta uses Three BlackRapid Bryce Pouches attached to her Cotton Carrier, to carry the many smaller pieces of camera gear, such as her Apple iPhone X, Energizer Timed Remote Shutter, 2.5mm Extension Cables, Wireless Shutter Releases, 4 AA Batteries, and 2 Sony Digital Camera Batteries. Meta attached three of these BlackRapid Bryce Pouches around each Tripod Leg and attached them two of them on her Cotton Carrier Harness front straps. The small front pocket can hold a few Zeiss Lens Cleaning Wipes. Comes in Black and Camo. This great product has been discontinued. Meta always carries an Extra Sony Digital Camera Battery with her at all times. One of these Sony Digital Camera batteries will fit into the BlackRapid Bryce Pouch or two in the Dual DSLR Battery Holder or both in the Rain Coat Section of the Think Tank Photo Bags. 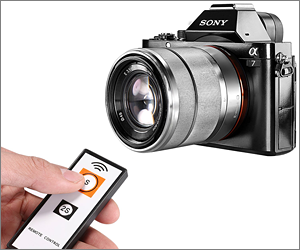 Genuine Sony Digital Camera Batteries work in the Sony a77 II Camera, Sony a99 II Camera and Sony a65 Camera. Use in Sony BC-VM10 Battery Charger. • Capacity: 11.8Wh / 1650mAh. • Operating Temperature: +32°F to +104°F – Do Not Use Below Freezing! For day hikes, Meta carries two Sony Digital Camera Batteries in her Think Tank Photo Dual DSLR Battery Holders. 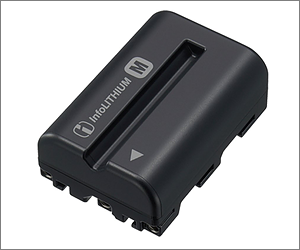 Each Dual Battery Holder holds two Sony Digital Camera Batteries perfectly inside. 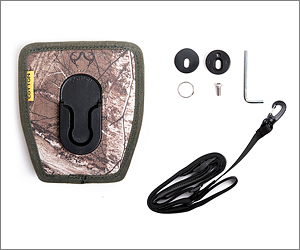 These Dual DSLR Battery Holders can be stored in the outer zippered Rain Coat compartment in the Think Tank Photo Camera Bags, or on the Cotton Carrier Harnesses. Meta labels her Sony Digital Camera Batteries with white numbered stickers to help identify any problem batteries.